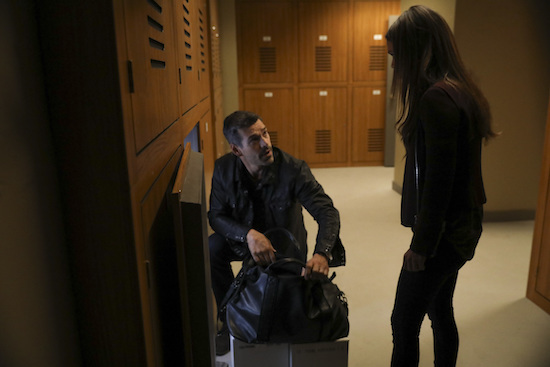 As TAKE TWO’s first season comes to a close, Sam (Rachel Bilson) and Eddie (Eddie Cibrian) have gotten much closer–as evidenced by last week’s kiss—and they struggle to balance their evolving personal connection with the final case of the year. When the duo target a con man who sets his sights on wealthy women, naturally Sam is the perfect woman to go undercover. (As evidenced by the photos below, which include her donning a blonde wig.) Unfortunately for them, they may not be the only one looking for the devious Lothario.